Discovering the capital city of Vietnam and know more about the tradition, life style and the history as well by visiting many landscapes and relics. 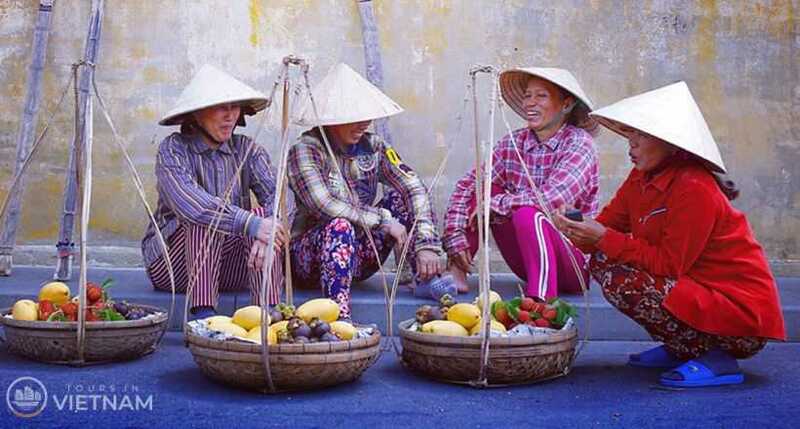 Enjoying the strange beauty of a typical remote province in Vietnam, understand more about the daily life of the minorities and visit many interesting places. Comfortable with the cool air and water of Halong Bay, one of the Seven Wonders of the World with many interesting activities like swimming, exploring caves and many others awesome places. You want to enjoy the most wonderful views of the Northern provinces of Vietnam and discover this modern but classic country in a week! The Hanoi-Halong-Sapa-Hanoi give you the most memorable tour ever with the friendliness of the Hanoian and numerous relics of the capital of Vietnam, cooling your feet and explore hundreds of spectacular caves in Halong and lastly the strange beauty of a remote province, Sapa. 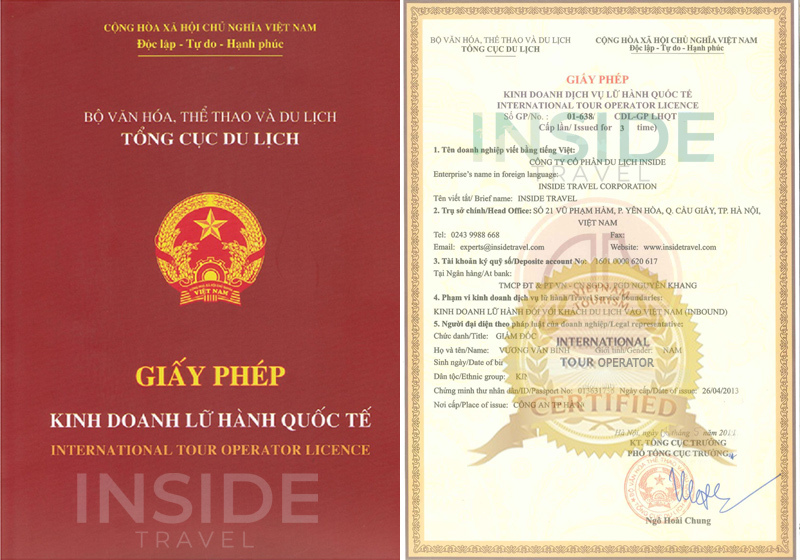 Today is your first day in Hanoi, you will receive the warmest greetings from our guide and lead to hotel for check in. Then you might take a rest or take your free time for a short tour around the beautiful capital of Vietnam, jogging around and enjoying the fresh air of lakes and parks like Sword Lake is recommended after a long flight as well as prepare for many other interesting things awaiting you in the next 5 days. Enjoy welcome dinner in a lovely restaurant and overnight stay at hotel in Hanoi. Today we will start our tour by taking a visit to Ho Chi Minh Complex which includes the Mausoleum of Ho Chi Minh(closed on Friday and Monday)and the Presidential Palace. Next, we will lead to the One Pillar Pagoda with its special structure. This pagoda, built in 1049, is so named because it stands on a great pillar with unique architectural style and a surrounding lotus pond. Then, we will end our morning by leading to the Temple of Literature, the first university of Vietnam built in 1070 in the Ly dynasty. The Temple of Literature is the symbol of the traditional education of Vietnam. Here, you can see many (82 is exactly) stone steles records of imperial examinations of more than 1,300 doctoral laureates of the Le and Mac dynasties. After lunch, we will continue our tour by visiting one of the museums in Hanoi, Hoan Kiem Lake and Ngoc Son temple. In the evening, free at leisure until transfer to Hanoi railway station for train to Lao Cai. Overnight Stay on Sapaly Express or similar. Welcome to Lao Cai, today is the first day for you to discover this remote province with strange beauty. We will start our tour by enjoy the bustling atmosphere of the Coc Ly market. This market stands on the edge of the Chay River, which starts from China. Here, you can meet the locals of varying minorities like Flower H'mong, Black Dzao and Tay. More, you can buy many things here like the traditional clothes of the minorities, bracer or other odd things that you haven't ever seen before. More, the beauty of the riverbank and caves are also can't be ignored. Adjacent to the excitement market is Trung Do village of Tay minority. Here, you can visit a local's house, chat with them and know more about their daily life while enjoying a hot cup of tea. Back to Sapa in the afternoon and overnight stay at hotel in Sapa. Start today with a visit of Muong Hoa valley. Stand on the top of the valley; you can enjoy the whole beautiful view of Sapa area with green paddy terrace blending with cool wind. Here, you can down to the valley and see directly the fields and know the growing processing of rice. Say goodbye to the fields, we will move to the villages of Lao Chai and Ta Van of Giay minority and peek into the local Catholic Church. Here is also another chance for you to know more about the daily life of the varying minorities in Vietnam. After visiting Ta Van, transfer back to Lao Cai for night train to Hanoi. Overnight Stay on Sapaly Express or similar. Early morning arrival in Hanoi at around 5.00 AM, transfer to a hotel for a rest and breakfast. 08.00 AM: Shuttle bus transfer to Halong via 165km driving one way - 3.5hrs drive. 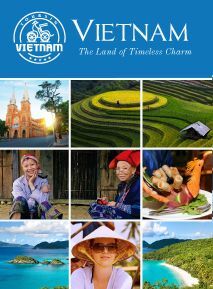 This will be your first opportunity to see some of the rural areas of Vietnam. The drive goes through the Red River Delta, so we'll have plenty of chance for taking photo of Vietnamese farmers tilling the vast green paddy field. At half way, we will have a visit to a handicraft workshop with fine clothes and embroidered paintings. With a quick rest stop en route, you will reach Halong City. Arrival in Halong around noon. 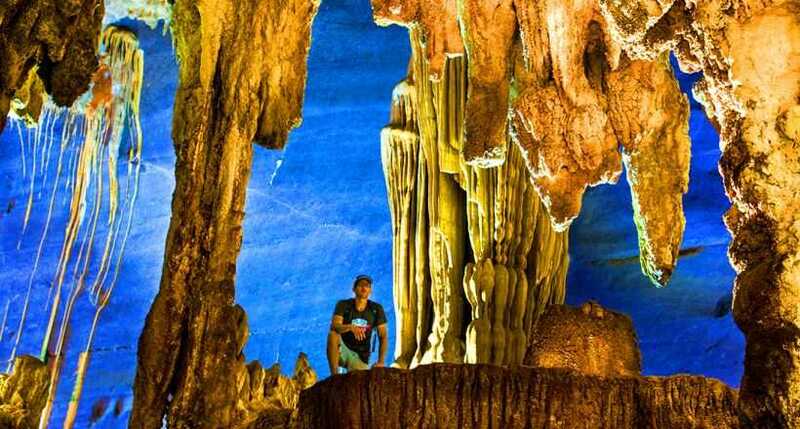 13.00: Have lunch on board then enjoy a fantastic cruise in Halong Bay, visit Dinh Huong, Ga Choi islets and magnificent Sung Sot cave before take the option of swimming at TiTop beach. 17.30: Relax and enjoy sunset. 19.30: Enjoy dinner on board. 21.00: Fishing or relax and spending a night on board. Overnight Stay on V'Spirit Cruise or similar in Halong. Early risers can enjoy a morning view of Bay's landscapes. Sitting on the upper deck we can enjoy the breath - taking beauty of the rocky islands rising from the crystal-clear water of the Bay. We can hear the birds singing, cicadas chirping ashore and the gentle lapping of the waves against our boat, the perfect soundtrack to accompany the fresh air and gentle breeze. 8.00: A morning cruise to visit Man's head island. Tortoise island. Visit to Bai Tu Long bay. 10.00: Arrange luggage and check out then have lunch on boat. 11.45: Arrive at the pier. Disembark in Halong City, transfer back to Hanoi airport for your onward flight home. End of tour services.